For many of people, it is difficult to remember a time before social media. Facebook, Youtube and Twitter have changed the way we communicate. Social media has left its mark on the courtroom. Below are questions and answers about how the Courts have made use of this new technology. Can online posts and photos be used in Court? Facebook and other social media are a new source of courtroom evidence. Just like traditional physical documents, online posts and photos can be used in court. It is safest to assume that everything you (or your friends) post to Facebook will be used in court. Information posted to social media is public. If the basic legal tests for evidence are met, such information may be used in court. How might online posts be used in the courtroom? Insurance companies have used Facebook photos and posts to question the credibility of witnesses and people injured in accidents. Photos and posts may also be used to prove an allegation. A common use of Facebook evidence is to suggest that a person’s injuries are not as serious as claimed. A Judge of the BC Supreme Court decided that a young woman’s claims of back injuries were unreliable after Facebook photos showed her performing on stage. In another case, ICBC denied a man and his son insurance coverage because of an allegation false statements were made to the insurance company. In that case, the father had told ICBC that he was the primary driver of the vehicle. The Judge reviewed Facebook posts which showed that the young man took great pride in the car. The Judge decided that the car was bought primarily for his use. As a result, their insurance was void. Can privacy settings prevent Facebook information from being used in Court? Nothing is private on social media. While privacy settings may make it more difficult for unauthorised persons to view private information, settings do not stop litigants from gaining access. Courts can order a person to disclose Facebook information. 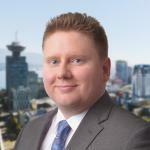 In 2012, a recent law school graduate was ordered to provide ICBC with private Facebook photos. A similar decision was reached in 2011. A woman injured in a motor vehicle collision was prohibited from deleting or altering any information posted to her Facebook account, until it had been copied. Her lawyer was required to download the entire contents of her account so that the Court could determine what information needed to be disclosed. How can I prevent my information from being used in court? There is no sure way to keep online information out of the courtroom. The most reliable form of protection is ensuring that information is not online to begin with. Giving up social media is neither a practical nor desirable option for many people, but users should be mindful of what they post. It is best not to post anything you would not be comfortable answering questions about in Court.